The Rutang Bana Ditaola professional development workshops took place in Mankgaile, Polokwane with the support of the Arts & Culture Trust on the 25, 26 and 27 July 2015. 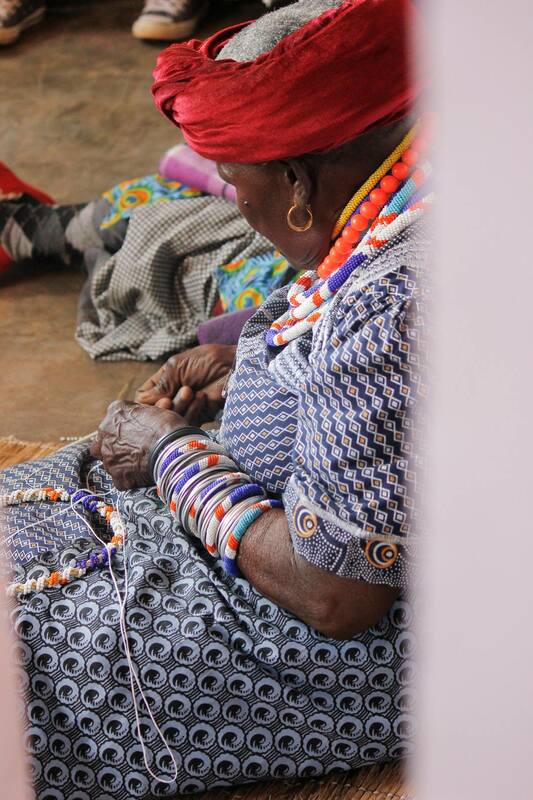 Over 40 youth participated in bead-making workshops facilitated by five elderly members of the community. Knowledge of the techniques and history of the bead-making within (regional) Northern Sotho material culture was shared. The workshops were documented in two ways: still and motion by Lady O Photography and Live Portraits by Tawanda Mhandu. Participants were grouped into Groups A, B and C. The first day of the workshop was devoted to theory (i.e. structure and design, materials used, names of dipheta (beaded neckpieces) and what the colors symbolize). The following day we gave group A a chance to recap the previous day’s work, thereby paving the way for Group B. Group B also learned about the theoretical foundations of traditional bead-making. On the third day, Group C was briefly introduced to theory then we proceeded with practical demonstration of skills. Knowledge transfer actually happened. 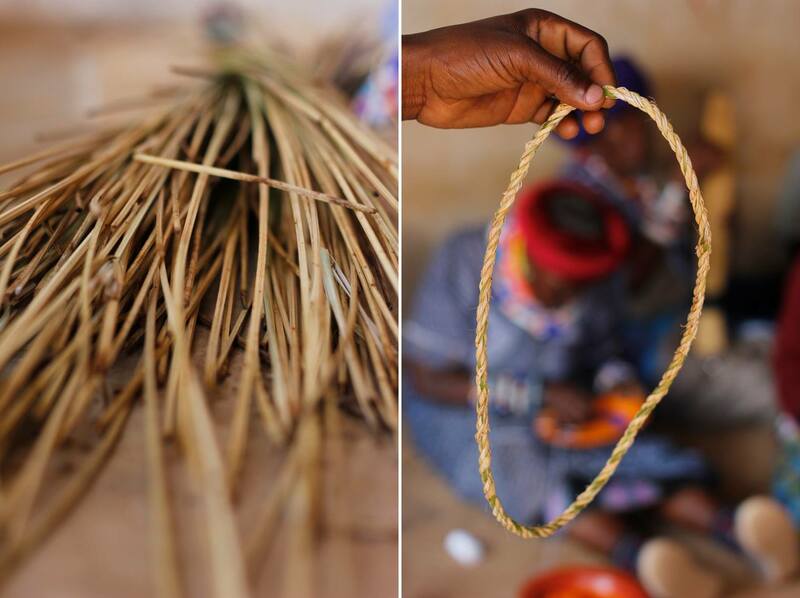 There are currently 25 young people, also Dinaka/Kiba practitioners, who can demonstrate bead-making skills without supervision. Traditional bead-making is currently taking place and selected participants are using the raw material bought to design various beads-work. The rest (18) still need supervision to perfect their skills, especially to learn how to weave the river reed also known as mohlahla to make specific beads for the neck and waist. We hope to create at least 6000 pieces of various types of beads by November 2015 depending on the availability of raw material. To note is that workshop participants are largely members of Dinaka/Kiba groups and therefore the making of the beads fulfills not only economic ends of merchandising, but also the provision of performance attire. However, it is also crucial to observe these workshops as active engagement with the very material culture of Dinaka/Kiba as it evolves as a contemporary phenomenon. The initiators collectively are interested in poetry, visual art, architecture, oral history, agriculture, cooperative economics and technology. We hope that the festival is a fertile ground for community members, learners, educators, artists, scientists, business people etc to realise innovative and ethical experiments as a contribution to a vibrant and thriving society. We extend the invitation to those who are interested in Dinaka/Kiba practice for partnerships, collaborations and participation on different fit capacities. We foresee collective research with learners, students and educators working alongside a wide range of practitioners in several disciplines, often working in interdisciplinary manner.